The concept of Transhumanism was first introduced in 1990 by Max More, who optimistically suggested that human capability would soon be augmented by our embrace of augmentative technologies. He wasn’t wrong; examples are all around us in the form of genetic engineering, artificial intelligence and biometric nanotechnology. A more common example might be the way hearing aids and cochlear implants enhance humans’ ability to interpret sounds. “We favor morphological freedom,” said More. “[We support] the right to modify and enhance one’s body, cognition and emotions.” Suss Müsik agrees. There are, however, ethical and social considerations. If a computer is not yet able to interpret context, then how can it be trusted to accurately convey an emotion? At what point should a machine be permitted to redefine the trust we place in our own senses? While a hearing aid provides wonderful benefits, it also somewhat distorts our concept of auditory range. If a tree falls in the forest and we can’t hear it without a device, can we honestly say that it made a sound? Riddle that awhile. These are weighty topics, and Suss Müsik hasn’t even mentioned yet how our studio’s Bluetooth UE ROLL speaker (ironically nicknamed “Ultimate Ears”) tends to stutter when a connected device is moved out of range. This was the basis for this week’s Junto. For this piece, two ambient fields were performed and recorded through the UE ROLL straight to disk. The recordings were then sped up to create a base rhythm. Woodwinds, strings, percussion and piano were added afterward. The vocal is Apple’s “Samantha” VoiceOver reciting an email created by Google’s Natural Language API. The vocal was recorded twice, each through a separate Moog synth module, then patched through a glitch filter at the same rate as the Bluetooth-derived tempo. I will be there in a few minutes and I’ll be there. I will be there in a few minutes and I’ll be there up to today. And I will be there in a few minutes and I’ll be there up to today and tomorrow. And I will be there at the same time as the one I have. The one I have is a good time to come by and see you soon. I will be there to have a great day and I will be there at the same time as the one I have is a good time to come by and see you guys. You guys how are you doing today and how are you doing today and how are you doing. You have a good day and time and have you been up to today and tomorrow. And tomorrow is the last day of the month and I have a few questions. I have a few questions about what I am not sure. I have a few questions about how I am not sure if I can make it to the meeting tonight but I can tomorrow. If you want to do it in the morning and I will be there is a lot of work to do and I will be there at the same time and place and I’ll be back up to the outside. And it is the best part about being able to see it and not the same as the one I have. And have a great day and I will be there at the same time as they. You know if you are interested in the morning so I can yes I can. Russell believed that all human knowledge was, at most, a best guess based upon knowledge attained to that point. In his 1903 book The Principles of Mathematics, Russell argued that mathematical concepts were immune from doubt because they were constructed entirely of logic. An algorithm is really nothing more than a process — a set of rules to be followed in order to achieve a result. The logic breaks down because life and language are slippery, inexact and subjective. A famous example of Russell’s Paradox is the barber who shaves everybody in town except those who shave themselves. Who shaves the barber? If he shaves himself, then he doesn’t shave himself; if he doesn’t, then he does. Groucho Marx once remarked that he would never join a club who would have him as a member. 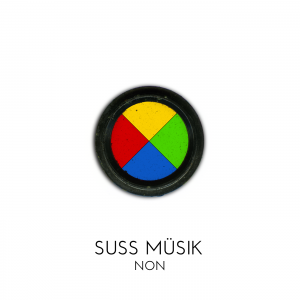 Suss Müsik doesn’t really make music, nor do we do much sussing. Paradoxes abound. For this piece, a simple four-note phrase was played on piano utilizing a scale of 8 notes. The 2431 algorithm was applied not only to note sequences, but also to sustain levels and attack times. This created a weird phasing effect during transitions. The algorithm was also applied to a “scale” of wordless vocal recordings by Suss Müsik friend, collaborator and mentor Wm. Wolfgang Allen. Expect more such collaborations from this team in the very near future. The piece is titled Russellian. Many thanks to NorthWoods for contributing this inventive and interesting assignment to the Disquiet Junto community. If you were to go back in time and flip through the record collection of 13-year-old Suss Müsik, you might discover a few surprises. Tucked somewhere between Lamb Lies Down on Broadway and the odd Brothers Johnson album, you’ll find the heavy metal classic Paranoid by Black Sabbath. Even today, a casual listen of “Fairies Wear Boots” is impossible to resist. Arms raised, convulsive head shaking, ‘devil horns’ hand gestures … the whole bit. Birmingham in the 1970’s was a largely working class city, its economic infrastructure dependent on factories and manufacturing. The sound of early Black Sabbath reflects their industrial surroundings: a chugging, blues-influenced slog characterized by low guitar tunings and beastly repetitive rhythmic structures. It was primordial sludge with a lyrical penchant for examining one’s sense of identity under traumatic (and chemically self-induced) conditions. Suss Müsik wonders if Paranoid had been a different sort of album had the band emerged from, say, London or Berlin. “The ability of each organism to respond to environmental challenges introduces a degree of uncertainty into the physical word,” wrote the physicist Louise B. Young in her book The Unfinished Universe. “Consciousness is the central experience of life … even the most elementary inert forms of matter act in a manner which extends their own existence [over] time.” The appeal of heavy metal music, despite the genre’s increased sophistication and diversity, remains fundamentally distinct: RAWK OUT, DUDE. Suss Müsik created this warped piece as a sort of homage to “uncertain” heavy metal, investigating the nuances between cosmic self-examination and our rudimentary (almost primal) compulsion for survival. Think of it as Maslow’s Hierarchy of Needs set to 4/4 time with lots of guitars. It’s no “War Pigs” or “Iron Man,” but you might bob your head a bit. Bonus pseudo-mystical nonsense included free of charge. The piece is titled Dopamine, the brain chemical linked to feelings of pleasure yet known to cause paranoid anxiety when administered in high amounts. Glitch can be interpreted as a form of deception. Technological malfunctions impede the transference of accurate or complete information, akin to how human being lie in order to shroud an unpleasant truth. Suss Müsik mourned the loss of Mark Hollis this week. Even during Talk Talk’s relatively commercial phase as a viable mid-1980’s synth-pop band, one can hear undercurrents of instrumental distress. Listen to the guitar on “Life’s What You Make It,” for example. A friend of Suss Müsik described the guitar tone as sounding like “it doesn’t even want to be there,” which brings to mind the uneasy relationship that musicians sometimes have with their instruments. 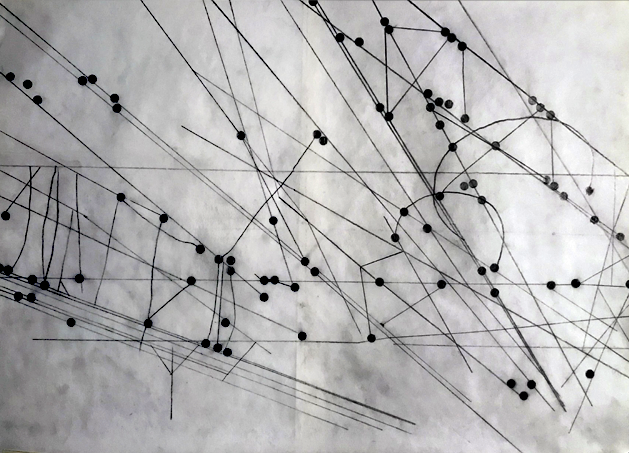 For this weird piece, Suss Müsik sought to explore the dynamic between humans and musical instruments in the form of glitch mechanics. A simple acoustic guitar phrase was played live and recorded to disk. The digital output was spliced and reassembled as a loop. The loop was then passed through an Infinite Jets re-synthesizer and re-recorded live to 8-track. The piece is titled Sissela, named after the Swedish author and ethicist Sissela Bok. In addition to writing the book Lying: Moral Choice in Public and Private Life, Ms. Bok won a Nobel Peace Prize the same year Talk Talk’s debut album was released. Attaché is the second in a series of collaborations with artist Bernard Madden. The piece is written & performed on using woodwinds, Moog synth, strings, treated e-bow guitar, solo clarinet, solo violin, voice, electric piano, percussion, brass, found sound, obfuscation. A border is a sort of marker between two systems that share common attributes. While national law varies between territories, organic science has no respect for governance. Which begs the question: does the universe abide by its own set of rules, to be unearthed through examination, or does discovery occur by chance? 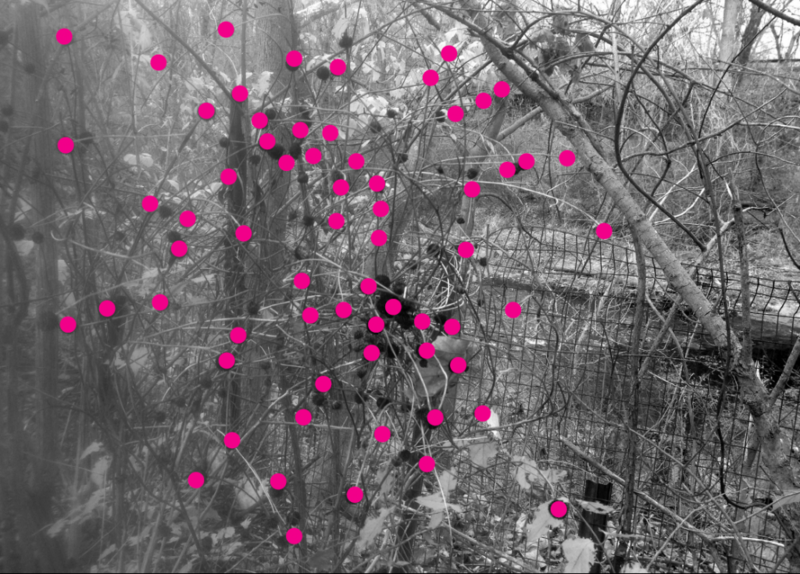 Artist Bernard Madden explores systems in nature as would a scientist, revealing hidden information and transforming meta-relationships into a new visual language. His work extrapolates these meanings into renderings of graphite, pigment and plaster, resting comfortably between avant-garde experimentation and traditional formalism. The piece Madden creates are beautifully disquieting yet energetically precise. This piece, titled Limitrophe, is the first of a collaborative series between Suss Müsik and Bernard Madden. The first half is a series of layers: electronic fields of Moog-enhanced static, generated by an audio “scan” of Madden’s image. A base melody is performed on strings and accelerated during the piece’s coda, performed for fake orchestra using strings, brass and percussion. One field’s relative attributes informs the other, forming a clear delineation between the two approaches while maintaining their connective bond. We are looking into possible performance/exhibition opportunities in which to further this fruitful experiment in cross-pollination. Stay tuned. Concrete is all structure with very little aesthetic appeal. Wallpaper, on the other hand, is all visual aesthetics with no structure. What concrete and wallpaper have in common is they both crack. The cracks that emerge destroy the structural foundation of concrete and the visual appeal of wallpaper. “For almost everyone, the word ‘structure’ evokes a strong visual of something that has been built,” wrote Mark Eberhart in his book Why Things Break. “A civil engineer fashions designs from a palette of I-beams, reinforcing rod, and concrete … yet simply putting things together from the appropriate palette does not qualify one as an engineer.” You might be thinking this same rationale disqualifies Suss Müsik from having anything to do with musical composition. No argument here. Anyway, Suss Müsik approached this project with the intent of exploring composition as a palette of sounds. The ‘concrete’ elements comprise a blocky phrase performed on strings and Moog synthesizer. The ‘wallpaper’ component is a nonstructural mess that has no beginning or end, requiring the buttress of a flat surface (percussion) in order to display its intent. The piece was performed live from two laptops and recorded quickly to 8-track, minus overdubbed percussion. The piece is titled Synovial, named after the fluid that lubricates joints in the human body and allows us to crack our knuckles. In totally unrelated news, Suss Müsik has been dealing with a bone fracture. One’s appreciation for human capability increases the moment it’s taken away. Still, there is the desire to get up and get on with things. Hence, what you have here is a one-armed composition for Moog synth, strings, organ, percussion, and ice cubes. For this piece, Suss Müsik recorded ice cubes in a glass filtered through an Infinite Jets glitch processor. Select bits were resampled and patched to create the two base rhythms, one housed within the other like how a skeleton supports the human body. The remaining instruments were played and recorded live. The piece is titled Osseous. The image is a medical ice pack, Suss Müsik’s best friend of late. First settled in 1733, Savannah is the oldest city in the U.S state of Georgia. The bustling port played an integral role in the Atlantic slave trade, importing thousands of African people of primarily Congolese descent. Even after the state banned the direct important of Africans in 1798, written records indicate that slave ships arrived on coastal Georgia as late as 1858. Many of these were driven by pirates who profited by luring escaped slaves to their boats, imprisoning them, and selling their labor overseas. In 1854, a French ship called The Grietely arrived in Savannah to collect 71 runaway slaves. Chained to the bottom of the boat, the slaves pounded the walls in order to escape. As the damaged ship began to take in water, the captain refused help from locals to save those imprisoned below deck. Everyone chained to the boat perished. Legend has it that the harbor remains haunted by the ghosts of those who drowned on The Grietely. Some sailors insist that they can sense a force in the waters that pulls their boats off course. Others have reported hearing voices spoken in Bantu. For this piece, Suss Müsik layered recordings of African American laments against a bed of Moog synth and bass drum. Listeners may recognize the haunting lyric of New Buryin’ Ground: “Well I can hear the hammer ringin’ / On somebody coffin / A well, it must have been my captain,” in addition to an unknown vocalist singing Arwhoolie Cornfield Holler. The piece is titled Grietely. The image was taken on the waters of the Savannah river.